1 1/4" kit works with all types of sump pumps. Ideal for discharging water out of the basement sump to a safe location outside of the home. 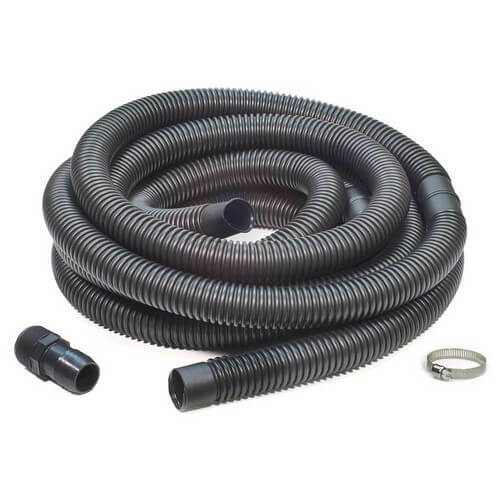 Each kit includes 24 ft. corrugated polyethylene hose, ABS thread x barbed adapter and galvanized steel clamp.